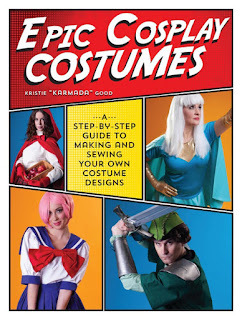 Epic Cosplay Costumes (ECC) is at it's core, a book about how to make costume pieces that can be used to create many types of cosplay. However, as you've noticed throughout the last several posts I've made regarding the book, I included a whole bunch of other topics that can be helpful in creating and wearing the costumes of your dreams! That's right. You've probably seen em on TV, in the news, and so forth, but one of the biggest places people take and wear cosplay are to conventions! So far, from my knowledge there is no actual "Stuff Con"
It a convention... about STUFF. Stuff you like! 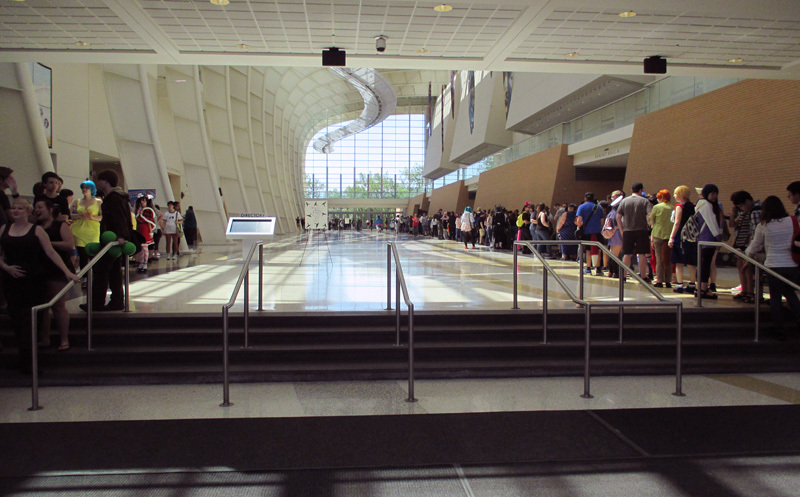 Conventions can seem big, scary, and intimidating, but many of us want to visit one(and cosplay too). 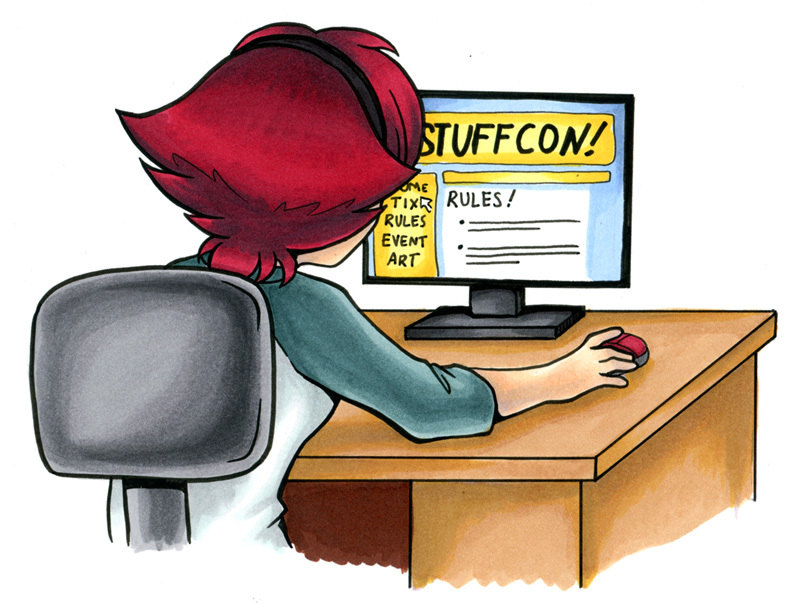 To a fledgling con-goer (or their parents), all the sign ups, travel and set up to even get ready to go to a convention can be very confusing or overwhelming. 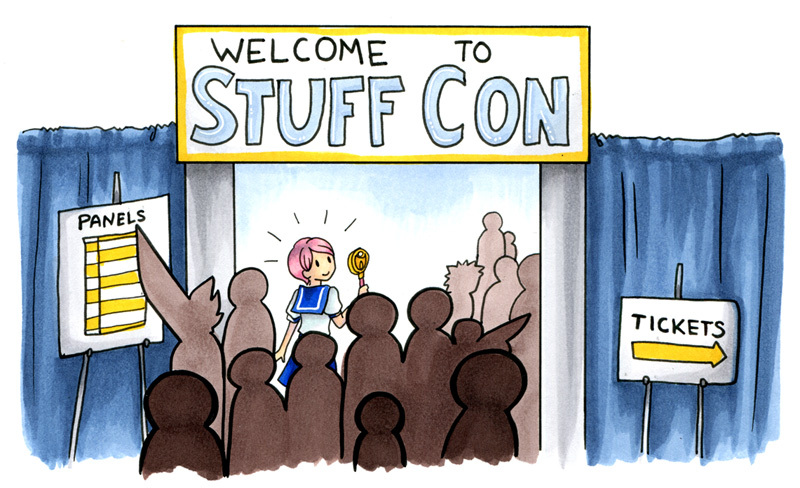 I wanted to use this section to give the general ins and outs about what it takes to actually get to and participate in an actual convention. While they're all different, there's a lot of similarities between the hundreds (if not thousands) of conventions out there! 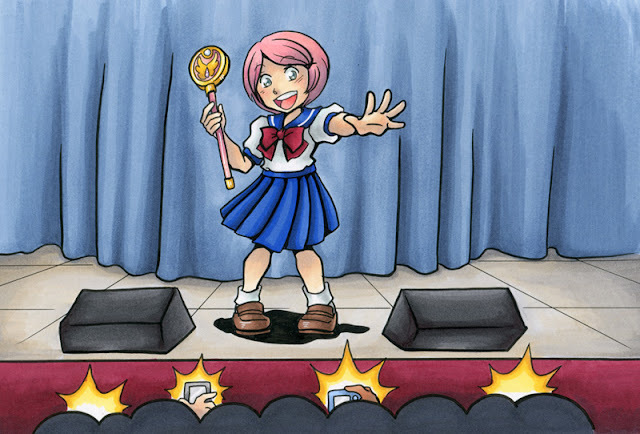 Some of it's technical know-how mixed in with some general attendee etiquette - this includes what you, as a cosplayer, should be aware of, as well as what attendees should know regarding cosplayers and convention behavior too! This section is devoted to helping make YOUR experience at a convention as smooth and stress-free as I can through text. I want to not only see you all make great and wonderful costumes, but I want to see you wear them with confidence. Conventions aren't as insurmountable as you think - in fact, they can be a very fun and rewarding experience! So go on! Go sign up and get out there, meet other cosplayers and fans - have a great time! We're back with another Sort-Of-Retro-Recap-Because-I-Was-So-Busy-Traveling about yet ANOTHER convention! This week's recap is JAFAX. I only ended up spending a single day there due to traveling logistics, but I wanted to chime in on the new location and show! 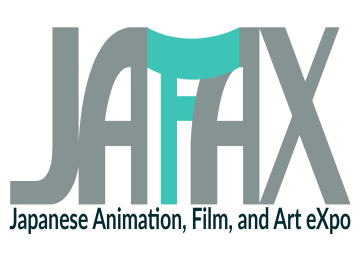 For many many many years, JAFAX has been a small anime convention taking place at Grand Valley State University's campus (and I'd say is responsible for me really getting into the convention scene in general). Over these many many many years, the number of attendees has grown what feels like exponentially. And grow it did, so big that it could no longer be contained on a campus easily. 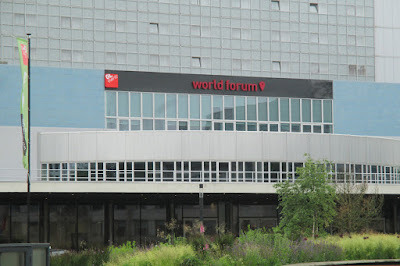 And thus they took a year off, and relocated to downtown Grand Rapids and the DeVos Center. Finding the show wasn't too hard - the DeVos Center is directly off the freeway, so for us single-dayers or commuters, it wasn't too hard to find. The center itself is HUGE and so very pretty. I hadn't pre-registered because I am basically a giant doofus, and I figured they're really expedient with other stuff, this should be okay, right? I later discovered this further wrapped around around the corner! 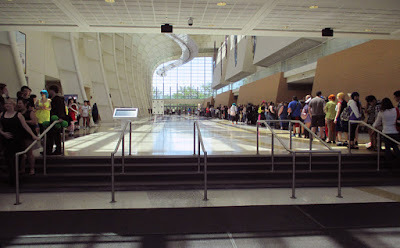 When I got in to the show, the line was IMMENSE. And while yes, it was a bit of a bother waiting (because I was a panelist I got to flag a volunteer to help me out. I wasn't even able to drive up until the early afternoon due to scheduling and I felt so bad about it! That's all on me though), I was so happy that there were so many people trying to get into the show. And JAFAX handled it as best as any show could! They knew things weren't working right, the system was running extra slow so check in wasn't working as efficiently as planned. But they worked with the attendees, providing next day badges and the like. Because that's the kind of show they are. I'm proud to know them. I didn't have a lot of time to spare, so I quickly dashed to the Dealer Hall, which had a very nice set up. It was in a big ballroom type room, and had carpeted floors and sound absorbing walls. I can't tell you how happy that makes me, because sometimes the din of crowds and people talking make my head hurt. 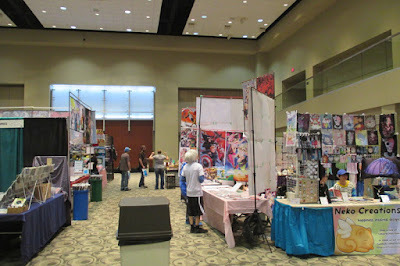 The artists and the vendors were vaguely separated into areas, but in a way, also interspersed, which worked for the smaller nature of the vendor hall. Check in for panels was great - staff was really nice. The panel rooms themselves were lovely! 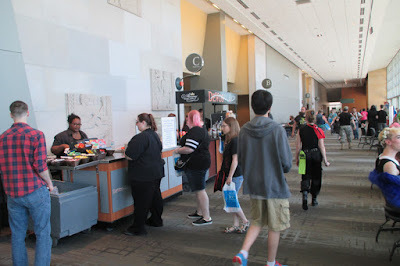 They also had a couple of food booths set up by DeVos center themselves, and I am always so happy when conventions have instant ramen bowls available. I will eat that in a heartbeat over fast food at conventions! I got one of the last spicy bowls. MWAHAHAH. It was DELICIOUS. I was literally only there for a handful of hours, as I drove home immediately (as in 3 days I was driving to Texas), so I can't really comment much on the good, the bad, the suggestions like I normally do. I really liked the new center. 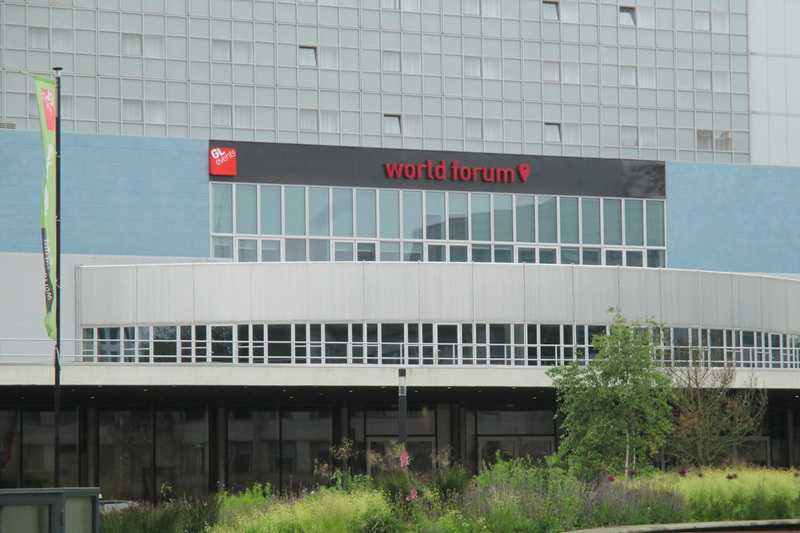 It had a LOT of potential for future shows, and I hope next year to attend the full weekend! This show has a lot of space to grow into, and I bet it can. I can't wait to see what it turns into! Many people see photos of fantastic cosplays and they get a tad overwhelmed, or unsure of how to create the same effects on their own. A common question I've gotten is actually about something OTHER than the costume pieces to make. 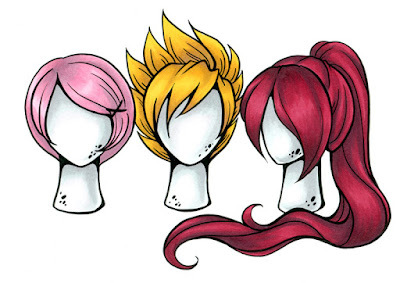 The world of cosplay wigs has transformed from scrounging around on the internet and in Halloween stores hoping you can get something to vaguely work with (and use mysterious things like caulk or heat sealers - it was a dark time) to a big business! Technology has advanced so much that cosplay wigs are extremely easy to come across these days and can make your costuming even easier! I wanted to introduce cosplayers who might not be familiar with some of the terminology or basics of wig finding/wearing. Let's be honest here - you can write an entire book on wigs alone (in fact, some people have!) - so I didn't want to get too mired in in-depth explanation, but more of a general overview so it's not so scary! Side Note: I also wanted to mention that in this section I also talk about the fact that you don't have to wear a wig if you don't want to. This chapter is merely to introduce the inexperienced wig users with some handy info on how to wear and care for their colorful hairpieces! This particular section in the book, while smaller, is here to provide you some interesting general information regarding wigs and their wear and care! 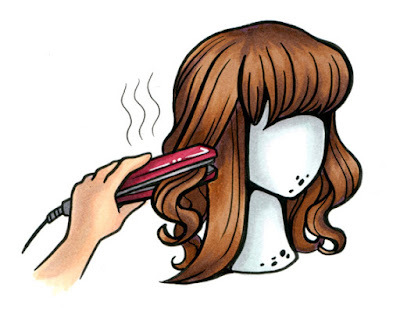 Throughout the chapter, I talk about supplies you'll want to have on hand if you're going to be wearing and/or styling wigs, as well as how to put ON a wig. That's right! I'm going to tell you how to put a wig on your head - because I'll be the first to admit, I had no idea what I was doing back in the day. 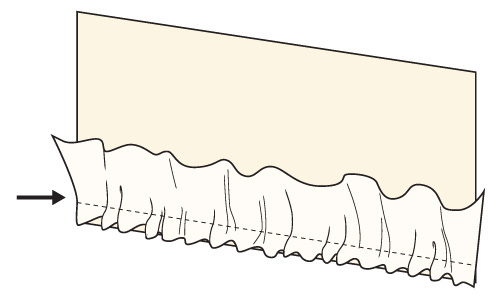 I explain what to do with your hair underneath (wear wig caps, people! 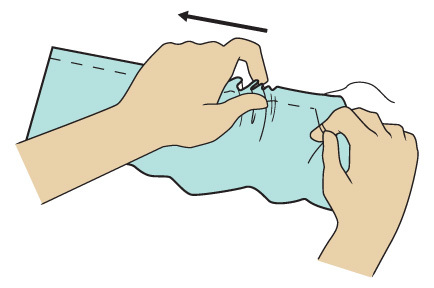 ), how to place a wig onto your head, even where you can sew in snap clips or where to place bobby pins. Cosplay wigs aren't as much of a scary thing any more, and they've made it 1000 times easier to find and style them than way in the past. I hope that when you peruse through this section, perhaps you too will find that cosplay wigs aren't as daunting as you once thought! Here's a couple of my favorite online stores, with tons of colors and styles available! 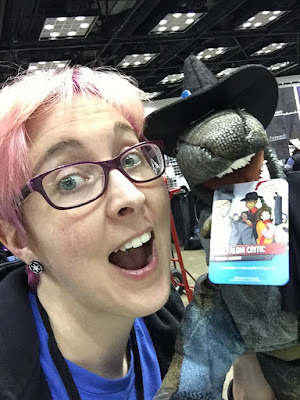 Indy Pop Con 2016 was mostly a blur to me this year for a couple of reasons. I was giving a whole host of instructional panels (one of my favorite things to do! ), but more importantly I had literally gotten back from Europe about 3 days before the show. I was super jet-lagged the day I got back, and never had the chance to actually just rest. Designing Booklets for 14 hours straight. Word to the wise, this is NOT a smart idea. I think I still managed to teach pretty darn well at all my panels and much fun was had! But I'll talk about that in a little bit. Time for another Retro Recap (mostly because it happened like 2 months ago and I'm super behind in my recaps)! I had ended up missing last years IPC due to conflicting events, and I had longed to vend at this years show but stuff and timing just didn't end up working out as I had hoped. BUT! I was presented with the opportunity to present make and take workshops all about drawing and artwork, and how could I resist? I did spend most of my time in a panel room, or behind a booth helping my art pal Tiny T-Rex Studios watch their stuff. (and making buttons on the spot for people!) So I didn't see nearly as much of the show as I'd like but I have my general thoughts on how it went, and my suggestions and feelings on the show! I am a great dinosaur babysitter. Click the READ MORE for the rest of the post! When the idea for the book Epic Cosplay Costumes (ECC) was pitched, obviously we wanted to have a handful of tutorials on how to make some standard costume pieces that can make all sorts of costumes. But I had even more I wanted to teach people. 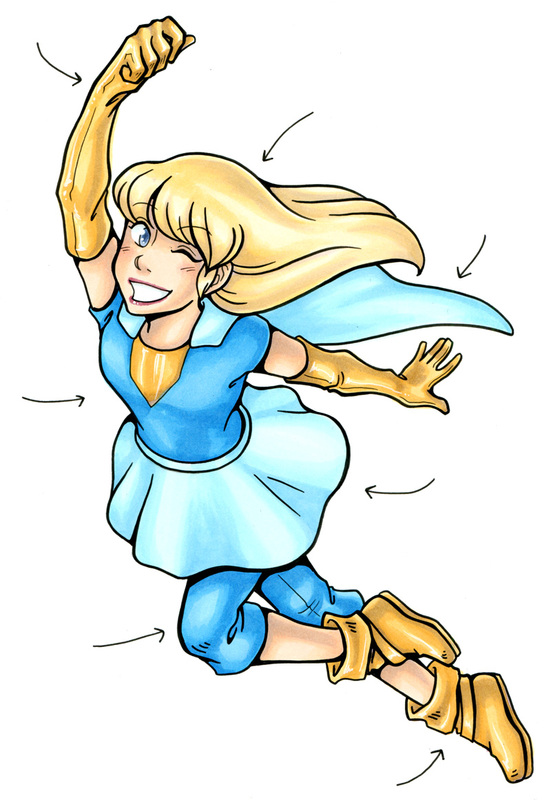 I wanted to set readers along the path of how to make changes and costume parts on the fly! But how on earth was I going to tell people to just "add some things" and that's when the "Sewing Toolbox" section of this book was born. Thinking of a Tool Box, you're probably thinking of things like having a sewing machine, iron, pins, etc (and don't worry there's a whole section with illustrations for those things too! ), but it's something entirely different. What I intended to teach readers is a whole host of creative techniques that can be applied to most any costumes you come up with. 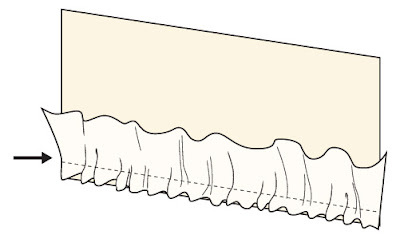 This includes simple things such as ironing seams down flat or gathering fabric, and all the way up to "how to add ruffles" to things like skirt edges, and a popular technique called "Stitch in the Ditch". Now each of these mini tutorials includes more of a "vague" set of directions as they are meant to be used in relation to whatever project your working on. It's kind of a small encyclopedia entry about a technique and how to do it. 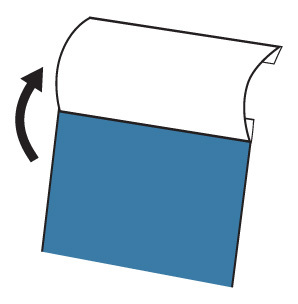 Along with a small description (and sometimes steps) on how to do said technique, they are also accompanied by illustrations demonstrating each technique. All the illustrations were vectored by me as well - in order of showing readers nice, clear, easy to follow diagrams that can be applied to many different projects. My biggest hope is that my readers will not only be able to make costumes with the tutorials included, but also learn extra creative techniques that will help them in their cosplay future! Get out there, and get CREATIVE! "How Do I Make XYZ?" I knew from the start that the book Epic Cosplay Costumes (ECC) would be featuring a bunch of step by step tutorials - as that is the nature of a maker's book, but I wanted to add something extra. I wanted to add value to the book as a guide for future projects and just what exactly the process of cosplay is. But that's kind of a nebulous idea, when you get right down to it - however it is one of the most common questions I receive from people. 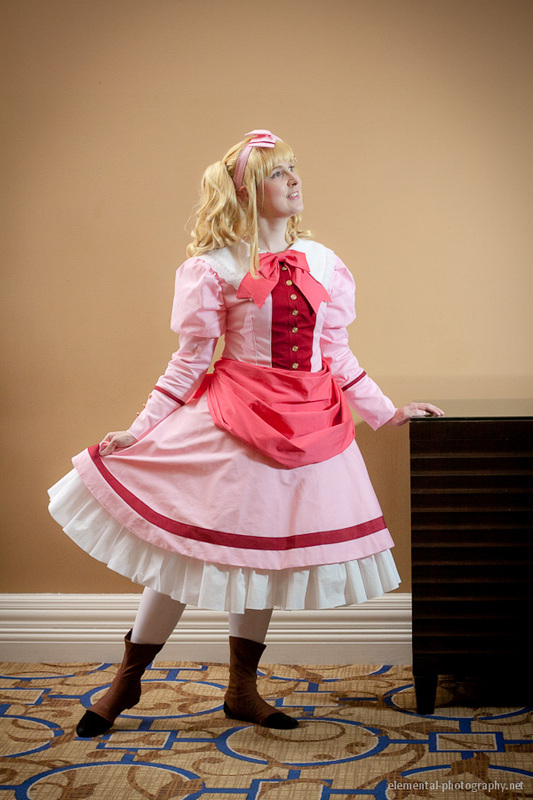 People want to make costumes, but aren't necessarily sure what that first step it. 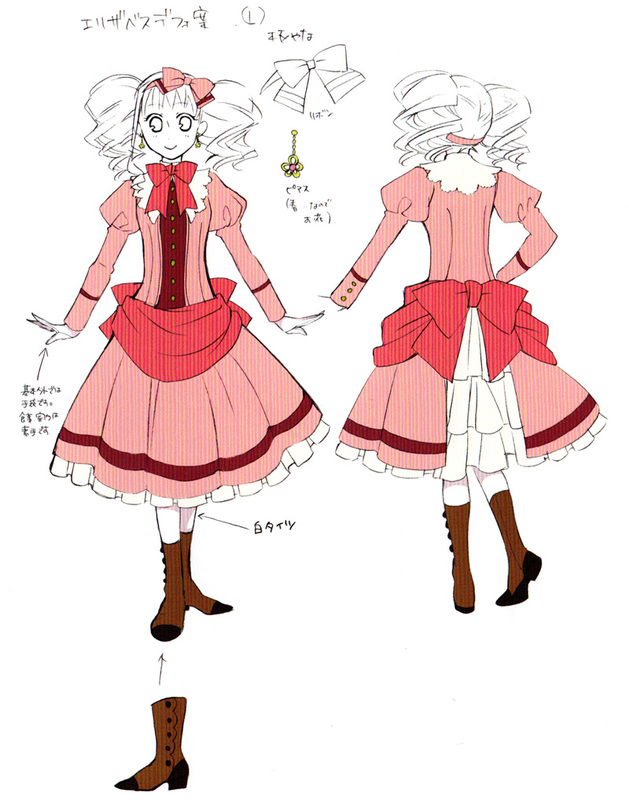 And a lot of costumes can look... complicated. Confusing. Because, for all intents and purposes, there really isn't a set group of patterns that's going to have exactly every character costume ever (though we're really trying to right now, and GOSH IT'S GREAT!). So my next big hurdle was how to condense 15 years of cosplay knowledge and techniques down into a single book. And that's when it came to me. Every costume can be separated into easier to manage chunks, pieces you can get from various patterns or draft yourself! This is usually the first step I do. It might not be written down exactly all the time, but for me, it's the process of gathering the patterns I'll want to work with that represent bits and pieces of the costume I'm working on. It's this process that I've written down, in hopes of helping cosplayers attacking those costumes they thought were impossible before! In the book there's a host of samples of types of garments you'll commonly see in costumes as well as regular patterns, along with some fun illustrated samples of costumes. These costumes might light a little familiar as you read through the book - they're all the sample costumes photographed and placed in the book! So if you like one of the projects in our photos, we've got the breakdown for you (and they can all be made with projects included in the book!). 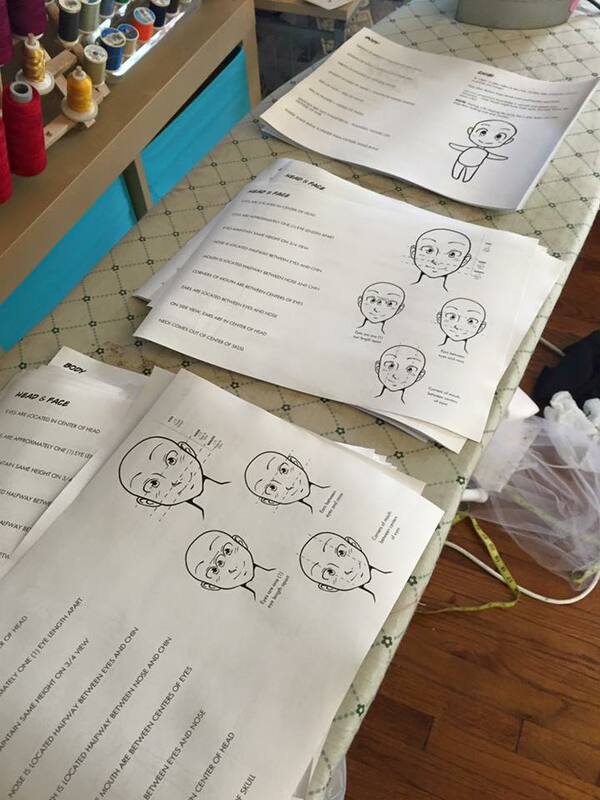 Now, not only will you learn that it's not too scary to break down costumes into parts you're looking for, there's one other important skill I wanted to teach readers through this book: Altering The Instructions. NOW. I'm not talking about forgoing the instructions in the book, but what I'm really referring to is how to take each project and change it to suit your needs. Be it the color/type of fabric, the shapes added to pieces, lengths of sleeves, and more. Each fabric project includes ways you can "alter" each tutorial to get a whole host of other garments! The only stipulation is that it's gonna require a little bit of bravery on your part. Due to space constraints I obviously couldn't go into extreme detail on how to make each change - but these images are here to spur on your imagination! To see the other garments types these projects can make. And with that knowledge, you'll have the skills forming on how to make any costume your heart desires.